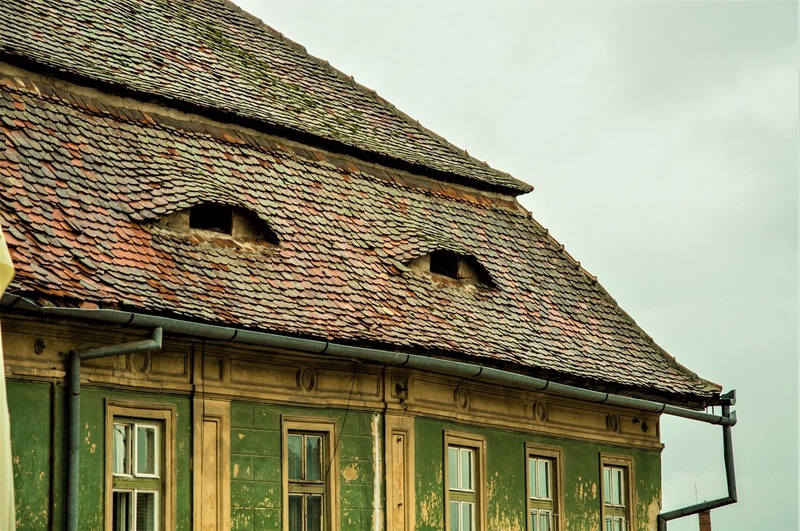 You don’t even have to be paranoid to freak out at the feeling that someone (or something) is watching you all the time as you stroll through the historic center. Are they watching you or are they just sleepy and trying to close their eyelids? The City With Eyes, a.k.a. 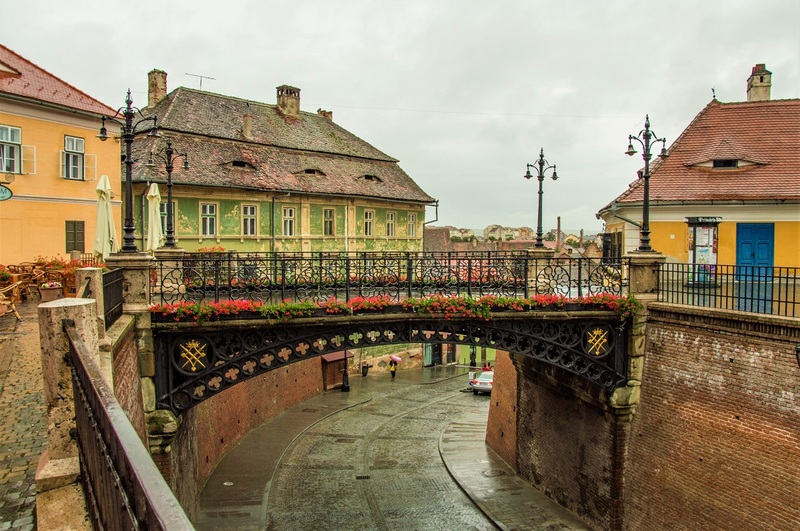 Sibiu, got this interesting architectural influence from the Germans centuries ago. Urban legends had it that these attic windows – designed to appear as if they are looking down on you – were added to control and monitor the population. They did their job perfectly. Okay, this is a bit of an overreaction: don’t imagine a zoo-like scene but more like a kind of public humiliation for those who didn’t respect their neighbors. Grand Place (or Piața Mare in Romanian) has been the main stage of urban stories for centuries, and this is where a cage was installed for a little more than 30 years in the 1700s. Its purpose? To lock up people caught disturbing the city at night. This museum dedicated to old-time remedies is set in a more than 400-year-old Gothic house (where a pharmacy called The Black Bear used to exist). Peek into jars with medicinal plants and potions arranged in long rows, see your travel partner’s nose enlarged through the glass of the measuring flasks, then head to the back room dedicated to homeopathy and Samuel Hahnemann, the father of homeopathy. 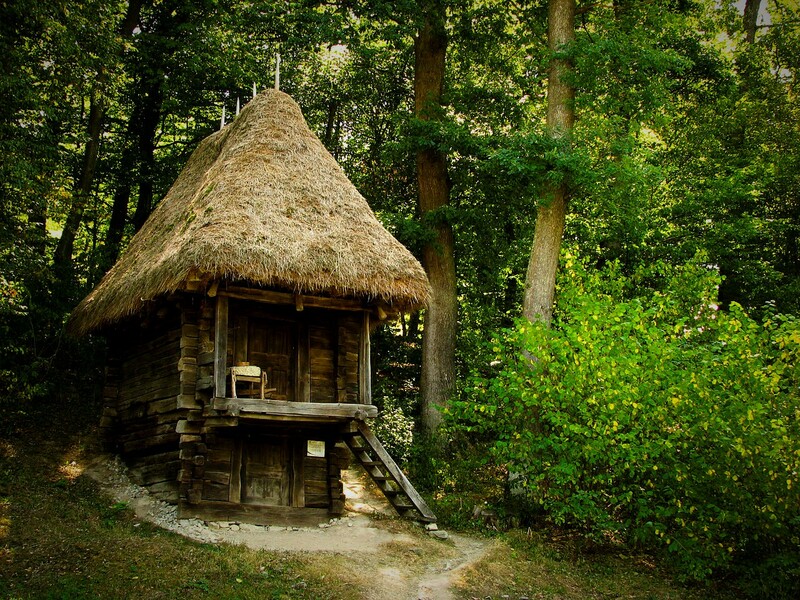 It is known that Samuel spent two years in Sibiu, where a local nobleman offered him a librarian and a physician to help him with his research. Think of the biggest lie you can tell and try to cross the iron Bridge of Lies. It was built to replace an older wooden bridge, which according to legend could tell if a person crossing it was telling the truth or not. If the bridge ‘heard’ a lie, it started shaking and squeaking. Today’s iron bridge is the oldest of its kind in Romania, and the second oldest in Europe. August von Spiess was a famous hunter whose legacy was preserved in his mansion, turned into a museum by his daughters. The walls of the rooms are covered in animals from both Romania and abroad (you’ll see lots of African game trophies) and hunting arms, while the yard is green and serves as the perfect spot for a short rest by the pond with the turtles. Rooftop views make my heart rate rise (confession time: sometimes I even enter skyscrapers illegally, um, without authorization to have a small bottle of wine on the roof or on a terrace). If you also get overly euphoric at the mere thought of a high place with a panorama of the city, head to the Evangelical Cathedral (Catedrala Evanghelică C.A. Sfânta Maria). 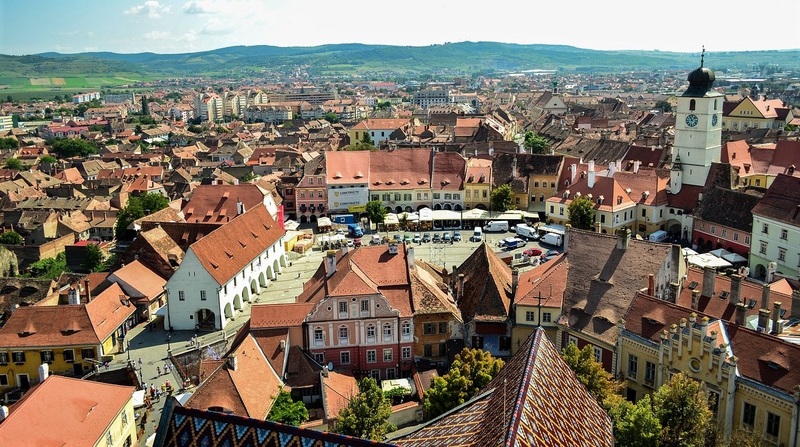 As Sibiu is a really cool city, it also has a second notable vantage point: the Council Tower (where the view is not as rewarding but still beautiful). 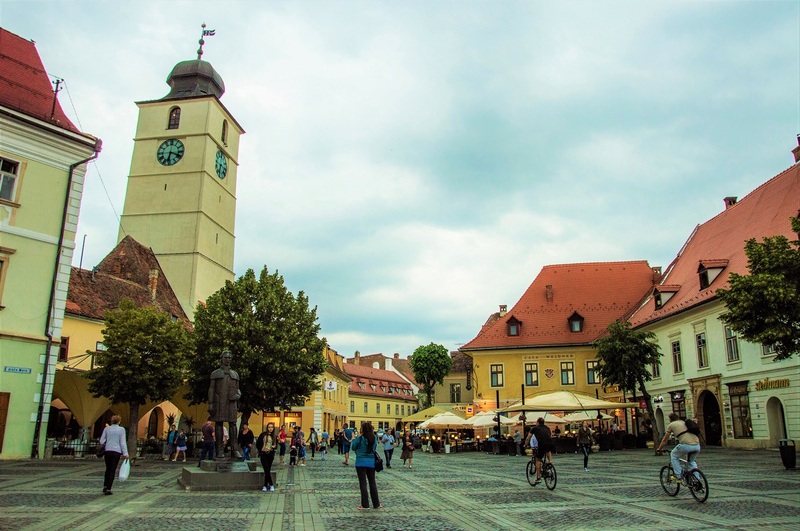 While you wait for time travel to be invented (or finally disclosed by the military as it is rumored to be a fact already), you can take a short drive out of the center of Sibiu to experience the next best thing. Astra Museum spreads across a huge area where you can amble among wooden and stone houses, windmills and wooden churches. When you get tired, sit down for a drink or a bite at one of the traditional inns.